Over the weekend, my Aunt Jan came to visit! It's been great spending time with her and showing her around the area. Her and my mom had plans Saturday night, so my dad and I used the opportunity to see the movie Courageous. We splurged and got the LARGE popcorn and pop. 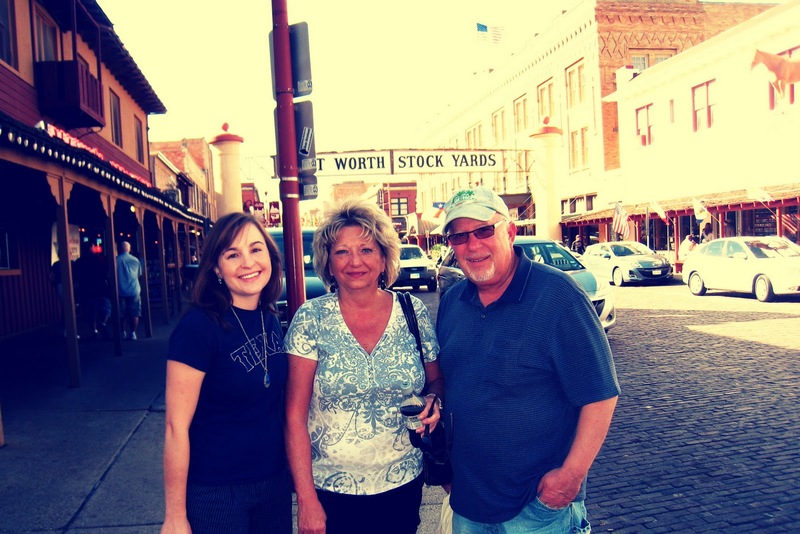 The next day, we took Aunt Jan to the Stockyards. I always love it there. We also had great weather! It's been in the low 80's the past few days which we have been loving. 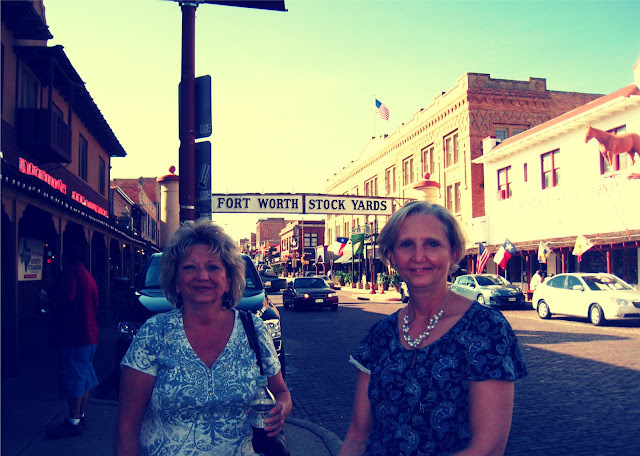 Mom and Aunt Jan at Billy Bob's next to Willie Nelson's hand prints. We've been having a great time. Now I'm back to thinking about what the upcoming weeks have in store and trying not to worry about the unknown that lies ahead. Those of you that know me well know the unknown isn't my comfy place to be, but it's what this season calls for and we'll make it! Thanks to all of you thinking of and praying for us. 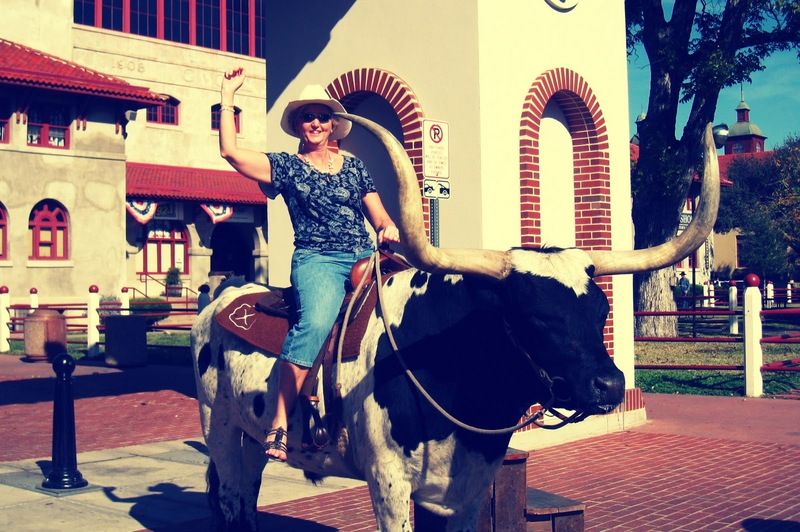 You know, I've lived just outside Fort Worth since I was 4 years old, and I've never been to the Stockyards or seen the cattle drive. It's funny how we take so much for granted. I really need to start looking around and making an effort to make memories for myself and my family. I loved your pictures, so thanks for sharing. Also, Jesse and I saw the movie Courageous, and we loved it. I was pretty weeping through most of it, but it had an impact on me, and I wasn't even the target audience. But it inspired me to help Jesse be the father that he is meant to be. We've been back in church on Sunday mornings and leaving messages for my stepson each week since we've seen the film. I'm glad that you and your father got a chance to see it.